Pets have teeth too! Just like our teeth they need care too. Studies show that 85% of dogs and cats over 6 yrs of age have some form of dental disease. To prevent dental disease, start brushing at a young age with a pet toothpaste – the levels of fluoride in human toothpaste are toxic to pets and not very tasty. Dental treats and diets can also make a difference. Prescription dental diets are coated in a dental cleaner and decrease tartar and gingivitis. Your pet’s teeth should be checked yearly during their annual exam. If there is dental disease, a dental cleaning under general anesthetic can clean the teeth effectively, including under the gum line where severe dental problems are most often found. Sometimes the mouth has been neglected or due to genetic tendencies there can be infected or painful teeth, gum recession or bone loss. These cause pain to your pet and can cause widespread infection – even to the heart valves. Your pet may show pain by having low energy levels, a decreased appetite or reluctance to chew. After dentistry and removal of infected or broken teeth we often hear from the owners that their pet seems younger and has more energy. If your pet has odour from their mouth, and will not allow examination of their teeth or has visible tartar build up, take them to your vet for a dental exam. 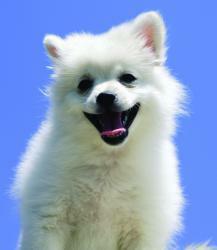 Brushing, dental treats and diets and professional cleaning can keep your pet’s smile bright and odour free.